There's always been a bit of a debate on where you should spend your money and where you should save it when it comes to buying makeup. With improvements constantly happening in makeup, it's more often than not you can get everything you need from the drugstore but there are a few products which I feel need a little bit more money spent to achieve full results. Here's where you should spend on makeup. Out of everything, foundation is probably the hardest one to get right so I find it's worth spending a little more. There's so many different variations of skin tone, levels of coverage and finishes so it's often very hard to fit into the tiny demographic that drugstore brands offer. Personally, I find NARS to be one of the best for colour matching and it's likely something that will suit you there. If you have the perfect base, you can pretty much save on everything else. While there are some good drugstore eyeshadows out there, I do find myself favouring the high end brands. More often than not, drugstore eyeshadows are chalky, poor pigmentation and just really don't compare to the buttery soft, bold shades you can get elsewhere. 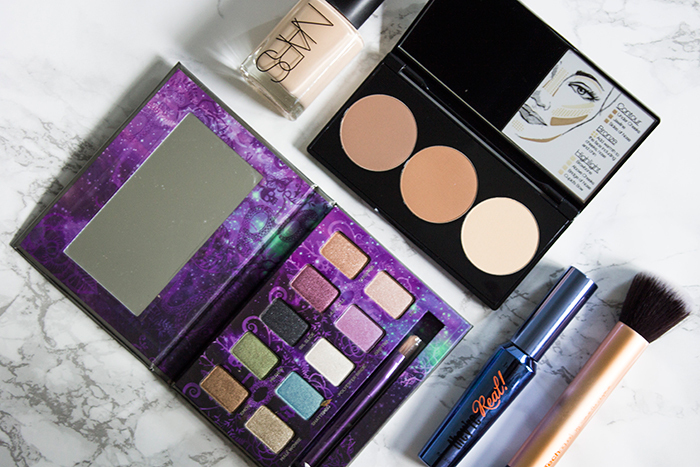 Urban Decay have everything from natural tones to colours you couldn't even imagine wearing! With the rise of contouring, many brands want to get their foot in the door of the trend but finding the right shade can be difficult. Most offer the traditional warm toned, glittery bronzers but what we really need is grey toned browns to mimic the appearance of shadows to create that gorgeous contour effect. Don't get me wrong, Sleek offer some great alternatives but ultimately it doesn't compare to how much I love my NARS Laguna Bronzer. There are those who may disagree but I have put mascara in this category. The drugstore mascara offering definitely has improved by miles over the years but I still find myself reaching for my trusty Benefit and Clinique mascaras to do the job. For lengthening mascaras, I find high end do these kinds much better than the drugstore. If I had to spend less on everything and more on one thing, it would have to be beauty tools. You could have the most expensive makeup collection but if your tools aren't up to scratch then your products won't perform well. Now that doesn't mean you need to break the bank and fork out £40 on a fancy brush but the difference between those £1 brush packs and a £10 foundation brush is outstanding. Grab yourself a Real Techniques brush kit and a MAC 217 and you're good to go. There you have it, my recommendations on where you should spend a little more on your makeup! I realise this is my personal opinion and many may disagree and that's fine! I'd love to hear your thoughts on what products you spend a little more on so make sure you leave them in the comments below. Tune in tomorrow for my tips on where you should save your pennies!